The 4-storey headquarters of the KBC Bank in Belgium is built on a 9 hectare site in Leuven facing a vast pond and landscaped gardens. 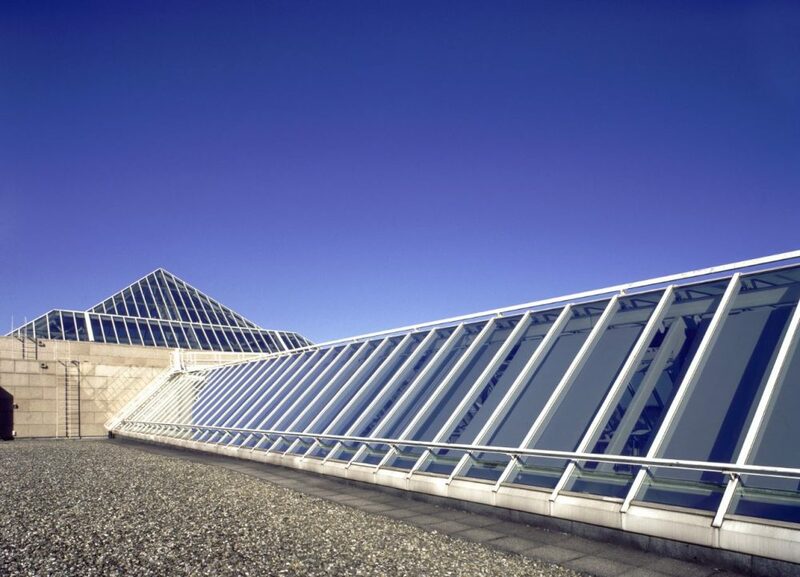 The 94,000m2 granite-clad building evolves around a square atrium and a pyramid form skylight. A huge central linear atrium is also covered by glass, allowing the building’s occupants to enjoy the benefits of maximised daylight. 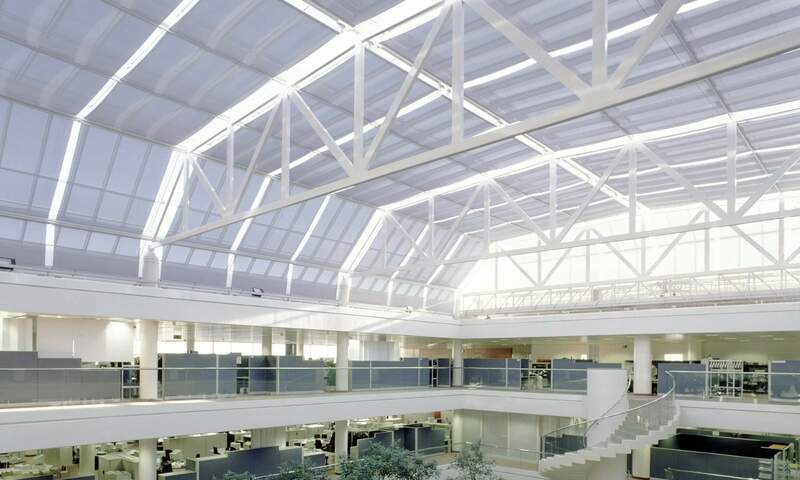 Helioscreen engaged Guthrie Douglas to design and manufacture a solar shading solution for the vast central atrium, to mitigate heat gain and glare inside the building, ensuring year-round user comfort. Guthrie Douglas’ TESS™ 200 series is a robust double-barrel tension system which can deploy 60m2 of fabric with a single motor. For this project it was selected to operate with the fabric drawing from the bottom upwards, the two barrels working together to deploy fabric and stabilise the blind using ultra-thin cables, whilst the powerful motor and spring keep the fabric constantly under tension and produce a smooth travel. 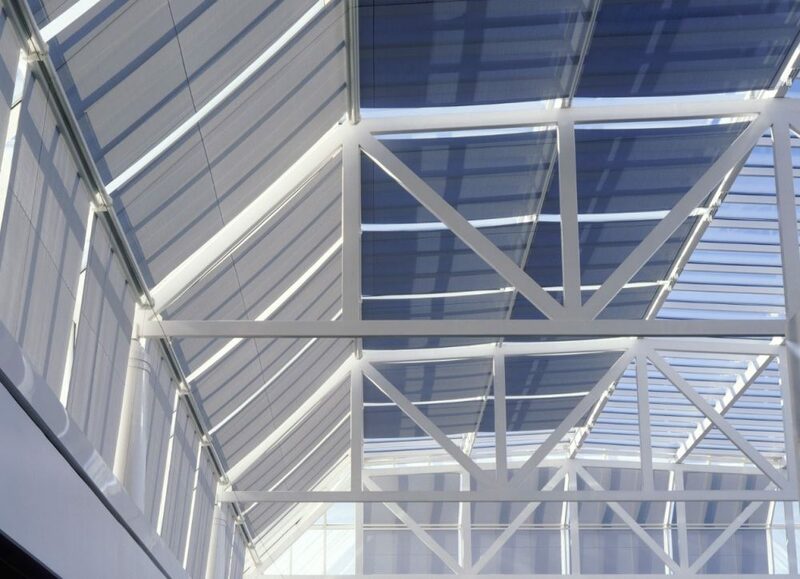 The system keeps the fabric constantly under tension so that it can consistently follow the angle of the glazing on the atrium, providing the required protection, whilst allowing the ingress of a controlled amount of natural light. 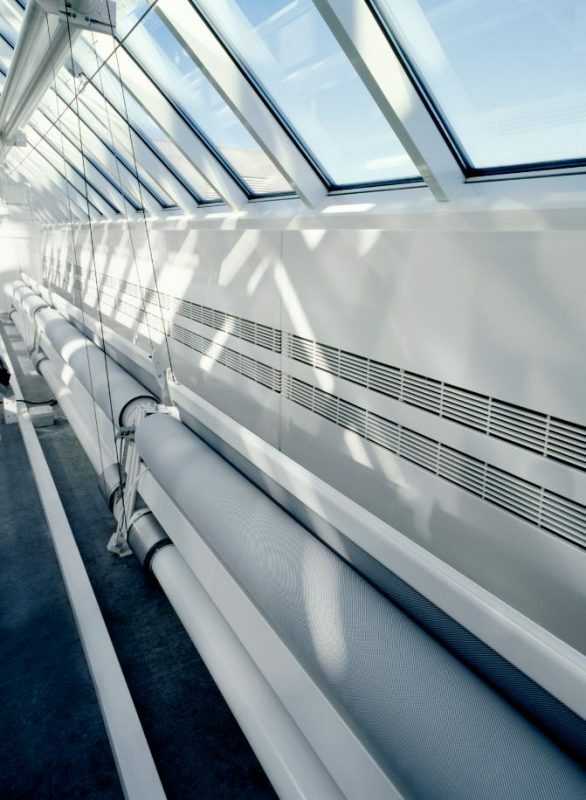 Guthrie Douglas’ shading analysts were involved from an early stage, to advise on the fabric selection in conjunction with the glass specification, and controls system integration. A full controls package including solar tracking, an array of weather sensors, and both automated and user-override controls were selected to meet the needs of both the building maintenance team and the building users. 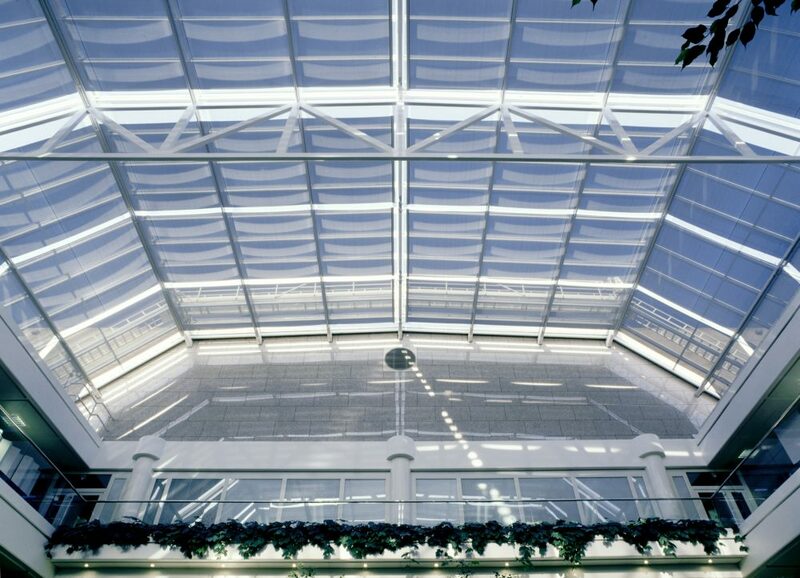 The end result is a spectacular and also highly effective shading solution which significantly reduces the heat gain and glare, making the space comfortable year-round, and contributing a softer feel to the atrium. We are often invited to consult during the design process to advise on the control of light, heat and glare into a space. Read about our work on a large atrium within an educational facility in the Netherlands.